Havana has warm temperatures all year round so if you are looking for a place to escape cold weather, try Havana. It has two seasons: a dry season and a wet season. The dry season occurs in winter between November and April. 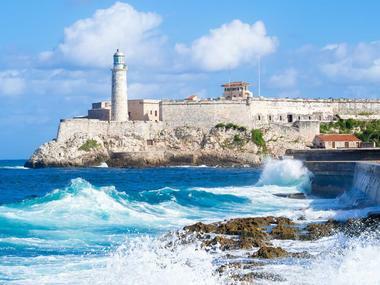 This is the peak season, and considered the best time to visit Havana, Cuba to escape the winter cold. The wet season falls between May and October and rainfall can be both frequent and heavy. The hurricane season happens towards the end of this season, but Havana rarely experiences a hurricane. Carnival in Havana is in August and this is a good time to see a colorful Caribbean city. Please be aware of travel restrictions to Cuba for U.S. citizens. Havana Weather in January: In the gorgeous city of Havana, January is the coldest month of the year with an average low temperature of 61°F (16°C) and a cool 79°F (26°C) for the average high temperature. While this month receives the least amount of sunshine of the year, days are still quite sunny with 7 hours of daily average sunshine. In February, Havana experiences its driest month of the year with just 10 mm of expected rainfall. Both the average high and average low temperatures see a 3-degree increase measuring in at 81°F (27°C) and 63°F (17°C) respectively. March brings slightly warmer temperature averages to Havana as the high temperature average increases by one degree to 82°F (28°C). The low temperature average increases by the same rate to 64°F (18°C). In April, Havana receives a relatively low amount of rainfall at just 30 mm. Temperatures continue on their upward trend with the low temperature average increasing to 66°F (19°C) and the high temperature average jumping to 86°F (30°C). Havana Weather in May: As the last month of Havana’s spring season, May brings relatively warm days and cool nights. The average low temperature measures in at 70°F (21°C), while the average high temperature is 88°F (31°C). June is Havana’s hottest month with the high temperature average taking a 2-degree bump to 90°F (32°C). It’s also the wettest month of the year with precipitation averages shooting up to 80 mm. The low temperature average is 72°F (22°C). In July, the low temperature average remains the same at 72°F (22°C) alongside the high temperature average, which stays at 90°F (32°C). It’s a spectacularly sunny month in Havana as well with the daily sunshine average at 11 hours. August is, without a doubt, the best month to hit Havana’s spectacular beaches. The sea temperatures are nice and cool at 86°F (27°C), making a dip in the waters the best way to combat the heat of the day. High temperature averages and low temperature averages remain at 90°F (32°C) and 72°F (22°C) for the third month running. Havana Weather in September: It’s a relatively rainy month in Havana for September with high precipitation average of 70 mm. While the low temperature average still holds steady at 72°F (22°C), the high temperature average sees a 2-degree decrease to 88°F (31°C). In October, Havana’s days remain quite sunny with an 8-hour average of daily sunshine. At the same time, the temperatures continue to cool down with the low temperature average and the high temperature average creating a range of 68°F (20°C) to 86°F (30°C). November sees the average high and the average low temperature at 82°F (28°C) and 66°F (19°C) respectively, continuing the cooling trend. In December, days are cool and evenings are chilly as Havana’s winter begins. The average low temperature sinks 2 degrees more to 64°F (18°C) while the average high temperature goes down by a single degree to 81°F (27°C). The precipitation rate is low at 30 mm. For those who are beyond excited to experience Havana’s famous parties and festivals, the best time to visit is, without a doubt, in July and August. 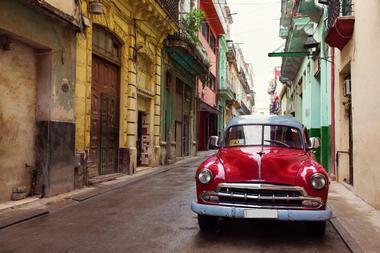 Havana also comes alive in November when the Latin American International Film Festivals hits the city. The best time to go hiking and enjoy outdoor activities is between the dry season of November to April. Just be sure to pack warm clothes to get through the chilly nights up in the mountains. These months are also ideal for trips to the beach and beach sports. There are several ways to get from the Jose Marti International Airport into downtown Havana. There are car rental companies located in the Arrivals areas of Terminals 2, 3, and 5. It’s best to book a car in advance during the peak season. Some visitors pre-arrange airport pickup with their hotel. Tour operators greet you as you leave the terminal and point out which shuttle bus you need to take. There are taxi ranks in front of all the terminal buildings. Although taxis generally have meters, they are usually not turned on: so make sure to negotiate your fare before you begin your trip. There are many reasons to visit Havana, but fine dining is not one of them. That does not mean you can’t find good food in Havana: it just means you have to explore the city to find some tasty dishes. Paladares are private restaurants which are small and can only accommodate about twelve diners. 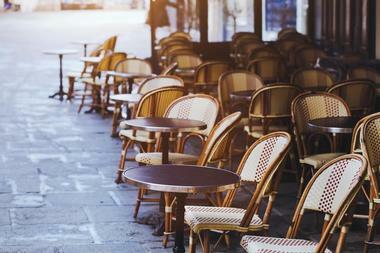 Although small, these restaurants are known for serving good food. In Old Havana try the Restaurante Hanoi: visitors report finding great food here although the cuisine has very little to do with Vietnamese food. In general Asian food is not a good choice in Havana. Another choice in Old Havana is the Restaurant Europa which features an inexpensive set menu. Like fine dining, you will not find great shopping in Havana, although it is the best shopping city in Cuba. There are many shops that sell basic goods, but any shops that are selling things above and beyond the basics are geared towards tourists, foreign workers such as diplomats, and a small number of local Cubans who earn enough money to be able to afford luxury items. 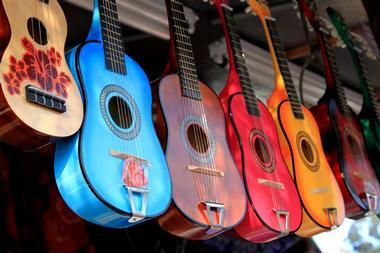 It can be a challenge to find interesting goods at affordable prices in Havana; but some of the things to look for include books, clothes, handicrafts, jewelry, music in the form of CDs, and locally produced rum. 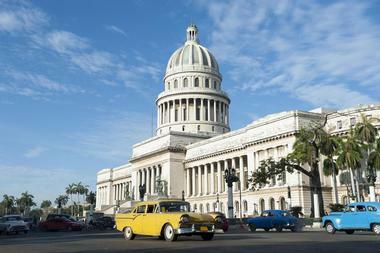 The most visited area of Havana is Old Havana known locally as La Habana Vieja. 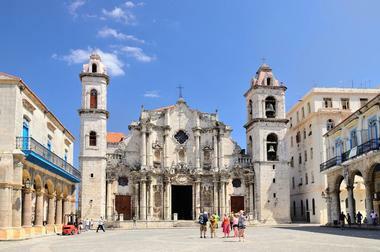 This is the colonial heart of the city and is located at the eastern edge of Havana. 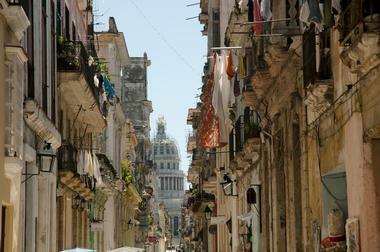 Old Havana extends from the Paseo del Prado and the Parque Central to the Harbor Channel. Here you’ll see colonial era houses, apartments, churches, mansions, seminaries, and parks and plazas. Centro Habana is a neglected and decaying neighborhood that connects Old Havana with Vedado. Although decaying, it is still charming in its own way: just beware of falling bricks! Vedado is a mixture of businesses and middle and upper class houses. With its many venues, Havana is a popular place for a wedding. In order to get married in Cuba, you’ll need your passport and a tourist card. There are several steps to get a marriage license, and all documents need to be translated into Spanish. It can be a challenging experience, but it can be worth the effort. 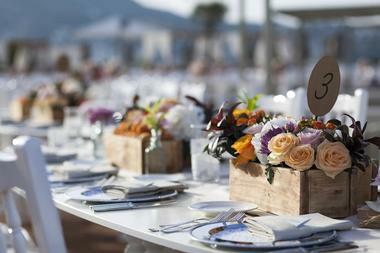 There are several hotels in central Havana that are good choices for wedding venues. The Iberostar Parque Central Hotel is a beautiful five star property known for its Spanish colonial style architecture. Memories Mirmar Havana is located in a part of Havana called Miramar and has a great ocean view. 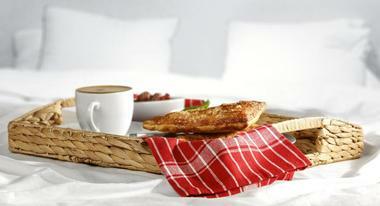 There is a wide variety of accommodations that you will find in Havana. Many of the hotels are state-run chains and these hotels include midrange to high-end properties. In addition to hotels Havana is full of casas particulares. These are more or less guest houses. They are clean, inexpensive, and meals are often available at affordable prices. 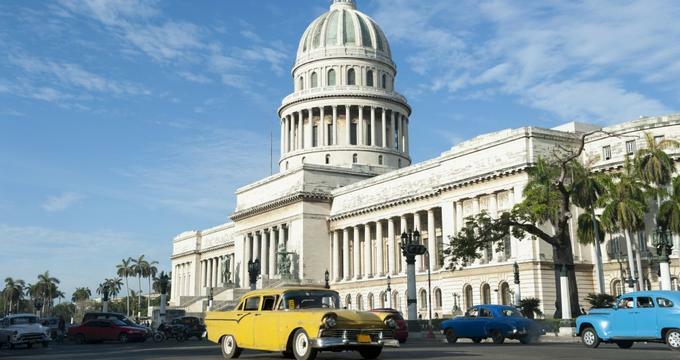 If you plan on visiting the attractions in Old Havana on foot, then it makes sense to find a hotel room or a guest house in this area or in nearby Centro Habana. In Old Havana there are boutique hotels in old renovated buildings.